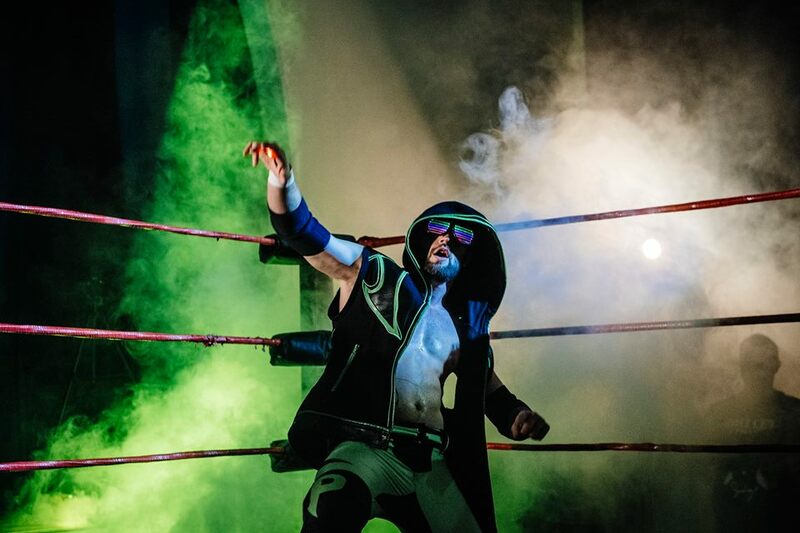 Having moved to the UK from his native Canada, El Phantasmo has wowed audiences across the land with his high-flying and technical prowess, as well as his electrifying ring entrance. Following an impressive showing against one of the worlds’ best, Angelico, EL-P formed an alliance with the South African star. The new team, named ‘Headbangerang’, took on the Aussie Open at BCT Night Three and dazzled the Brighton crowd by wrestling in slow motion for a large segment of the contest. As Phantasmo builds his name across the UK scene, many speculate that the best is yet to come for this exciting competitor. A range of El Phantasmo merchandise can be bought over at El Phantasmo’s webstore.